I've spotted a new online selling site lately while scrolling online. Since online shopping has become a trend these days and growing quickly in Pakistan. Many of us love to shop online because its just not save time but also help to avail wonderful discount offers right on time. Although many online sites are floating around to provide best service to their consumers, all you have to find the right one. I've recently made an order with mygerrys.com. A site selling huge range of beauty and fashion products along with gadgets, electronics and many house hold things including home appliances. First off I was amazed to see the cosmetics range available on their website. I love how the catorized every products in different catagories. They are currently offering a huge discount on their cosmetics range so I've grabbed some products from the range. However, I've made an order with rimmel london match perfection foundation and daily defence argon and morocco oil shampoo. My package came right on time, both of the product were carefully wrapped. I admire how they wrapped bottles in bubble wrapper and sealed them with plastic tape to protect them to get damaged and leaked out. An amazing thing about mygerry is its amazing, neat and clean layout which can be compared with any professional online selling site its very professional and make shopping experience very convenient for new consumers. They strive to provide hundred percent genuine products on best bargain prices with lowest delivery charges ever also offer cash on delivery service for those can't pay via easy paisa or bank transfer. I've choosen three to five days delivery option while ordering them but most amazingly my order came right after two days. They have placed best images on their website. I've ordered rimmel london match perfection liquid foundation by checking on their website images and shade came best match with my skin. 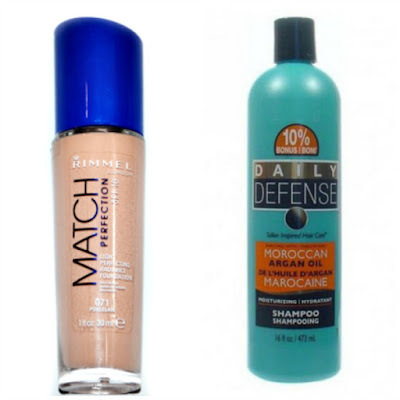 I also added daily defence shampoo into cart as I had been hearing many good reviews about Daily Defence Moroccan Argan Oil Shampoo and finally found it at mygerry.com. Visit the link for more amazing products. I love it when products are well wrapped. It is such a nice thing to do - especially when shipping makeup. I always buy products from an old online shopping store because i can't trust new stores but i think mygerrys is a venture of gerrys group and hope it is authentic.